This turquoise and purple pillow is the perfect blend of these two colors with a swirl effect design that just really draws attention to itself. 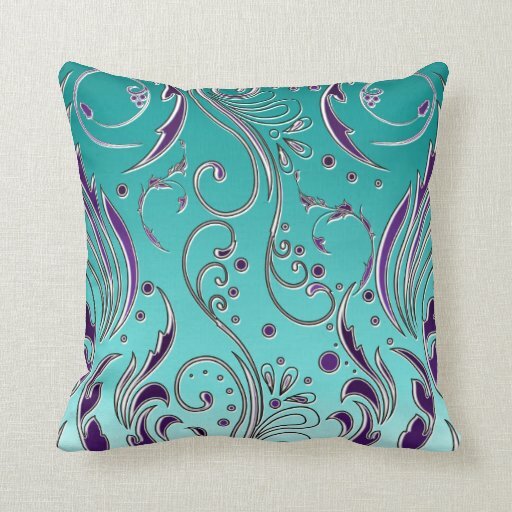 A purple and turquoise throw pillow like this really captures the eye. What I love about this design is that it is available in different sizes and materials. From polyester to cotton, it's your choice. I love using decorative throw pillows like this in my purple bedroom designs because they offset the color perfectly. 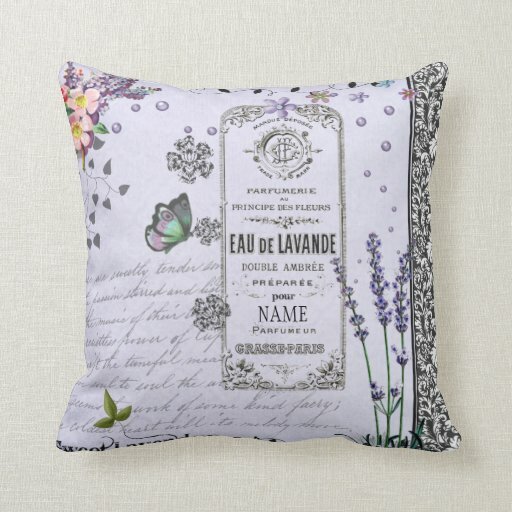 This vintage inspired lavender throw pillow can be customized with your name on it. What a beautiful way to add some lavender to any space. The vintage inspired design is both unique and stylish. The beautiful collage of lavender decor is simply charming. This lavender purple throw pillow would look nice in a room that has a French Country inspired theme to it. I could also see this lavender purple throw pillow working well in a shabby chic decorated bedroom.